In modern times, art was perceived as a pure unit that represents a cohesive and universal idea. But then Postmodernism appeared, and tried to challenge these definitions of art and stretchthem in order to break the rigid borders that Modernism has created. Postmodernism introducedthe term of collage, which means taking different unites and assemble them together into one piece. Phrases in music can be seen as a kind of collage; separate units that combined together create a track.After some time of polishing and perfecting his sound, Ritmo, aka Dubi Dagan, has decided to take a different approach for his second album. Forget what you know about albums, and take a look to the future. 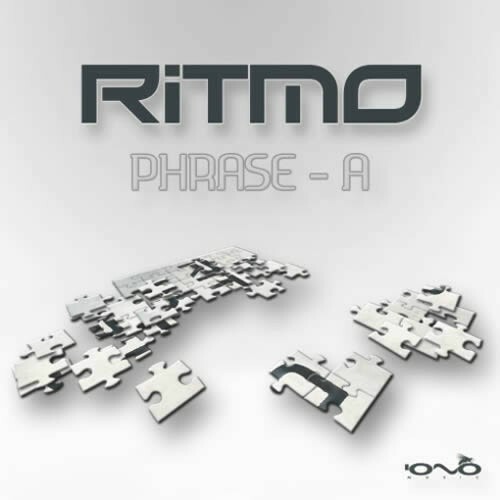 Trying to experiment with innovative directions of expressing his art, Ritmo decided to take the concept of Phrases and separate them into two phrases – Phrase A and Phrase B. Each Phrase consists of a collage of Ritmos latest artistic creation and expresses different moods. Phrase A, is the melodic, happy and sunny side of Phrases.It begins with Follow Me, which is a seductive psychedelic tune that signals you, as the sample will say - to leave everything behind and follow this revolutionary process. After you managed to pass the first stage, you will start having Big Eyes. This is a natural procedure in Phrase A, and comes with reinforcement of Motion Drive, aka Philip Guillaume. Having Big Eyes helps you realize the positive side of life and start dancing in a manic uncontrolled manner to show it. If you think that it will help you distinguish betweena Dream and Reality then you might be expecting a surprise. Because this trip was designed exactly for destroying all the predictable assumption we have, and the best way is to embrace the notion that a dream and reality can happen simultaneously. For the final phase of Phrase A, we must Imprint you.After all, passing through such a musical turbulence needs a final proof that you are eligible to go to the next stage, to Phase B. But in order to leave a mark that will give the proper grounds for this kind of Imprint, Ritmo called another expert for the job – Zen Mechanics, aka Wouter Thomassen. Together, they create the finale thatboth closes a Phrase and opens another one, using their special thumping base line and sweeping rhythms. Can you guess what Phrase B will be?